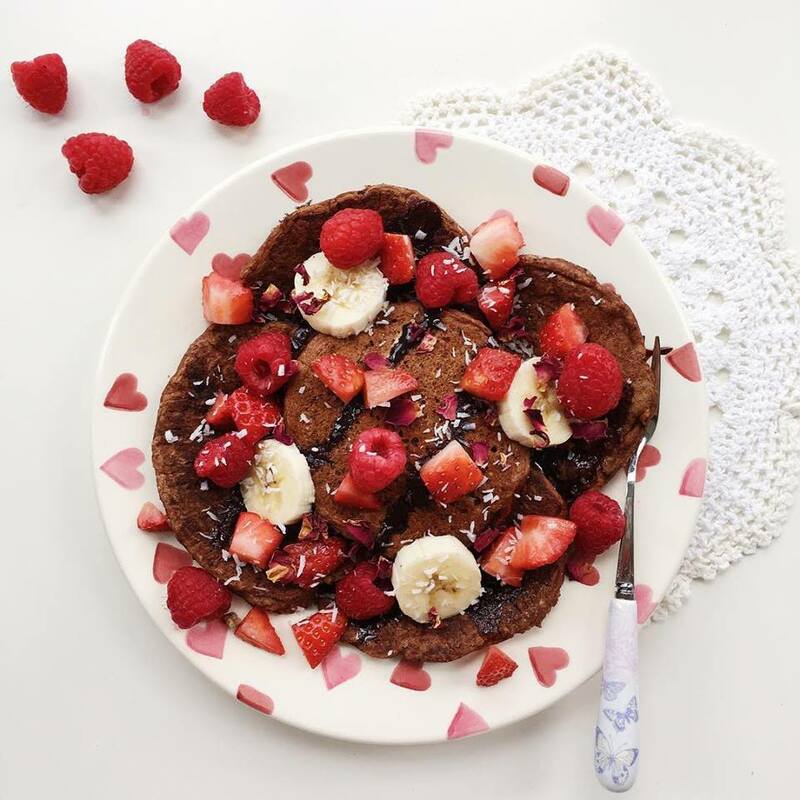 A huge stack of cacao buckwheat pancakes is one of my favourite Sunday morning breakfasts, but although I adore the taste of them on their own sometimes I like jazzing them up a bit with a superfood powder or two. The combination of cacao and maca is one of the best pairings as they are both powerhouses in terms of nutrition and they're incredibly energising (both singularly and collectively). They also taste amazing together, which is the most important thing! Maca has a slightly malty taste and is sometimes compared to caramel so it compliments the rich chocolatey flavour of cacao perfectly. If you wake up feeling lethargic and a bit under the weather then head to your kitchen, grab your frying pan and whip up a batch of these beauties - cacao has been found to be a natural mood-booster and maca is claimed to be a caffeine-free energiser, so put the two together and you get a feelgood superfood team. Add a sprinkle of cacao nibs, some berries and a drizzle of raw chocolate sauce or natural nut butter to this stack and you'll be in pancake heaven! You can read more about the benefits of cacao here. When your flax eggs are ready you can begin making your pancakes. Firstly, sift the flour, baking powder, cacao powder and maca powder into a large mixing bowl and stir it all together. Mash the banana into a pulp (you can leave behind a few slices to top the pancakes with if you wish) then add it into the bowl along with the non-dairy milk and flax eggs. Mix well until everything is combined - the consistency should be fairly thick, similar to that of cake mixture.